I’m yet to meet a motorcyclist who doesn’t have a deep appreciation for the work of Walt Siegl. 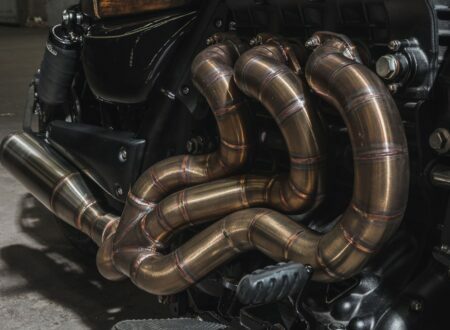 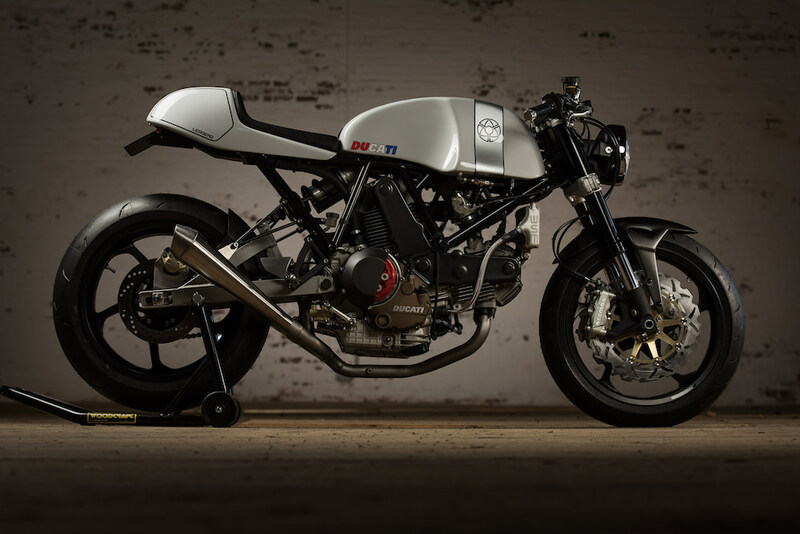 He’s a custom bike builder who melds performance engineering and aesthetics into motorcycles that go significantly faster, and look markedly better, than the bikes they’re based on. 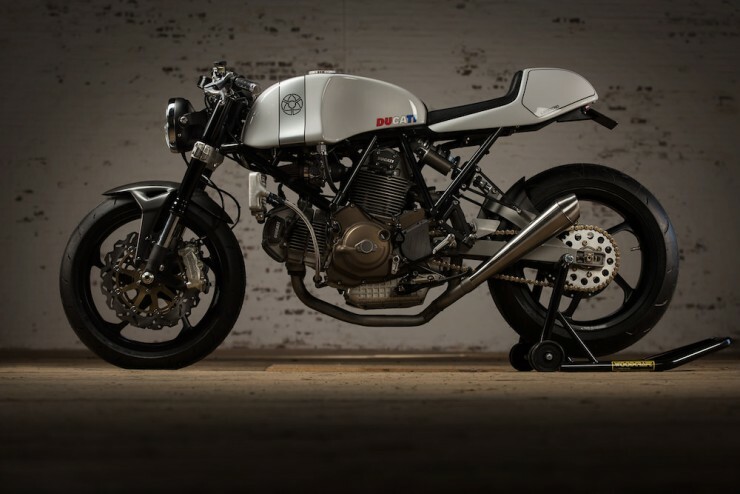 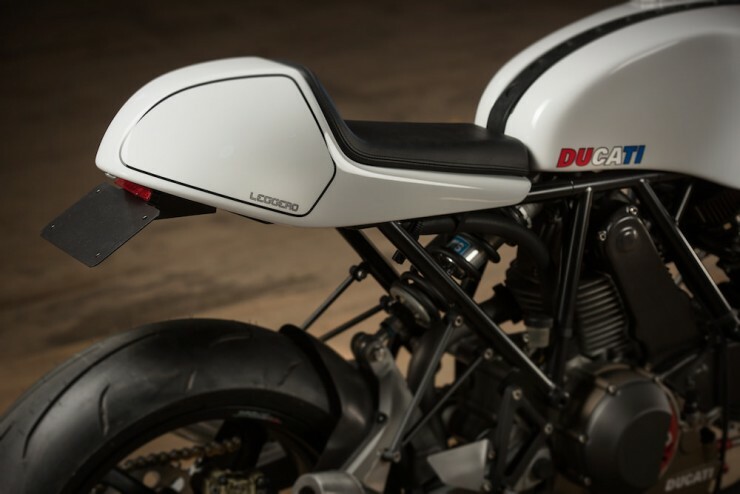 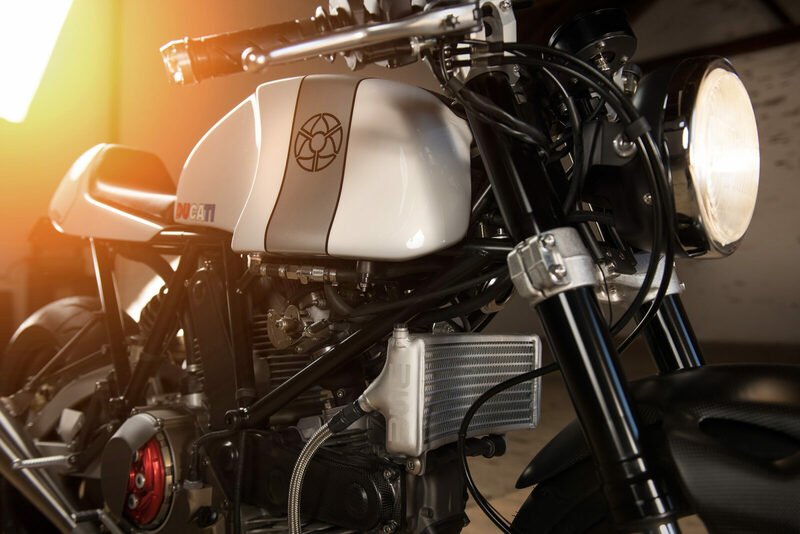 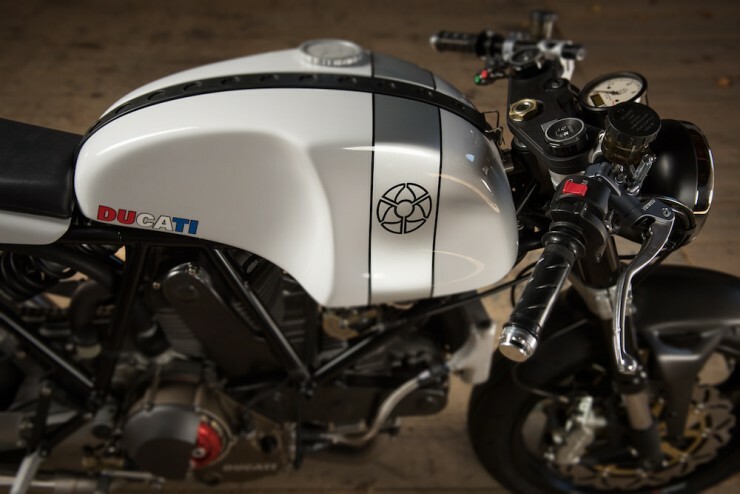 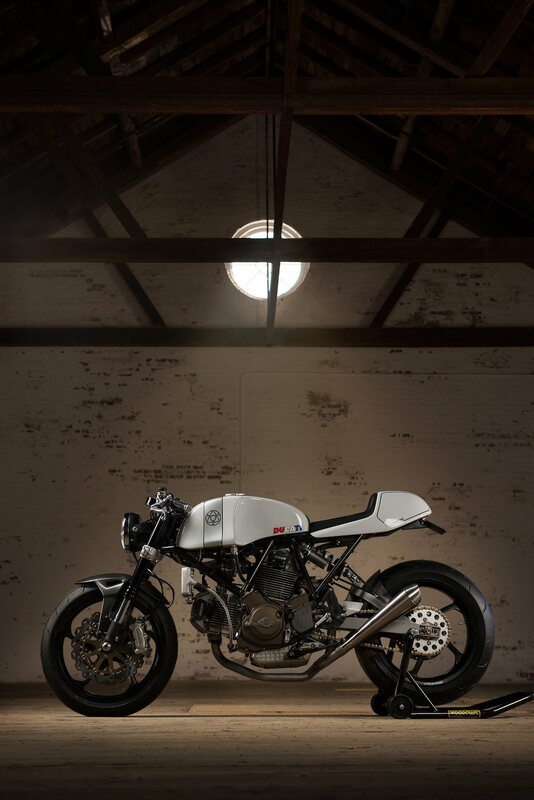 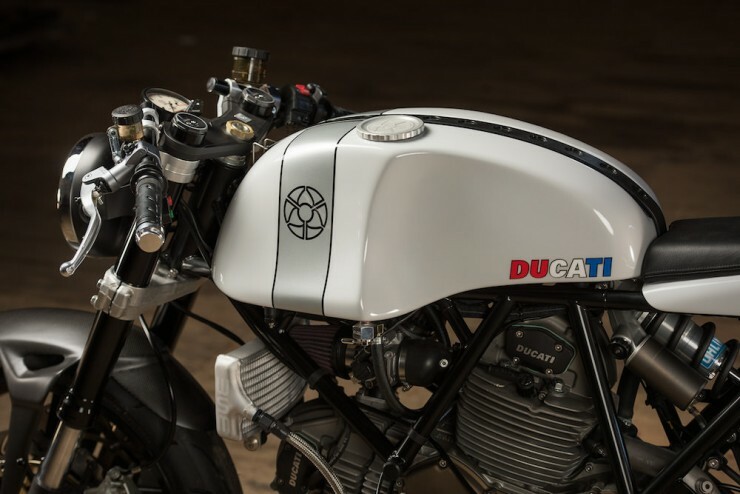 The Ducati Leggero is a limited production series of custom motorcycles that Walt has been building since the early 2010s, we’ve featured a few of the previous examples and they’ve also lit up the hallowed pages of Bike EXIF, The Bike Shed, Return of the Cafe Racers, and Megadeluxe. 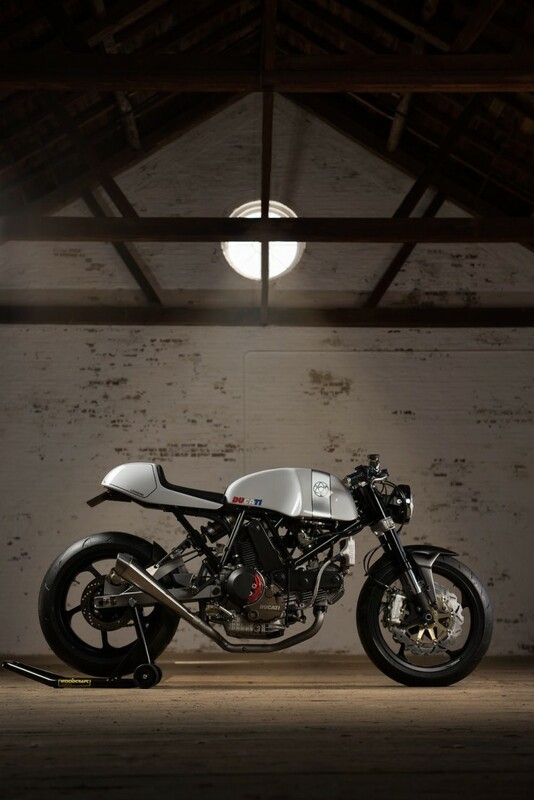 At the heart of each Leggero is an aircraft spec. chrome molybdenum tube frame that weighs in at just 15 lbs. 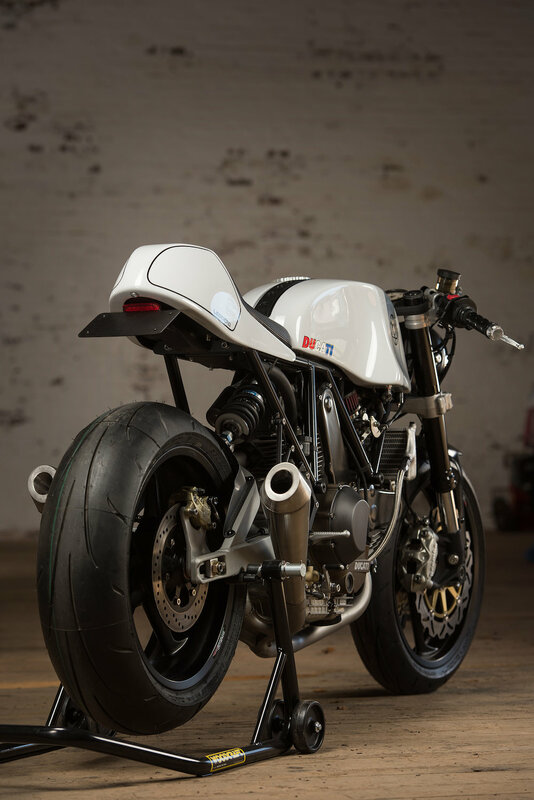 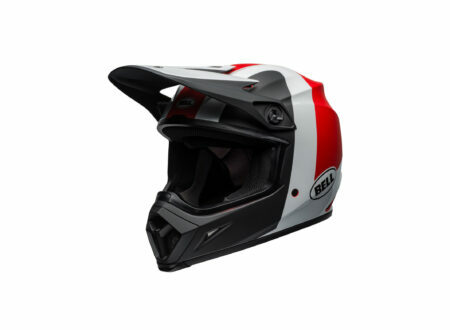 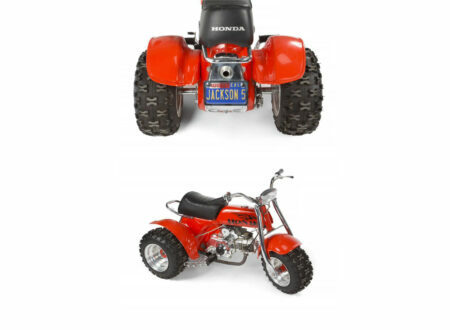 This is then paired with a Ducati L-twin, custom Kevlar bodywork, the best suspension and brakes that money can buy and each bike is finished with a unique paint scheme. 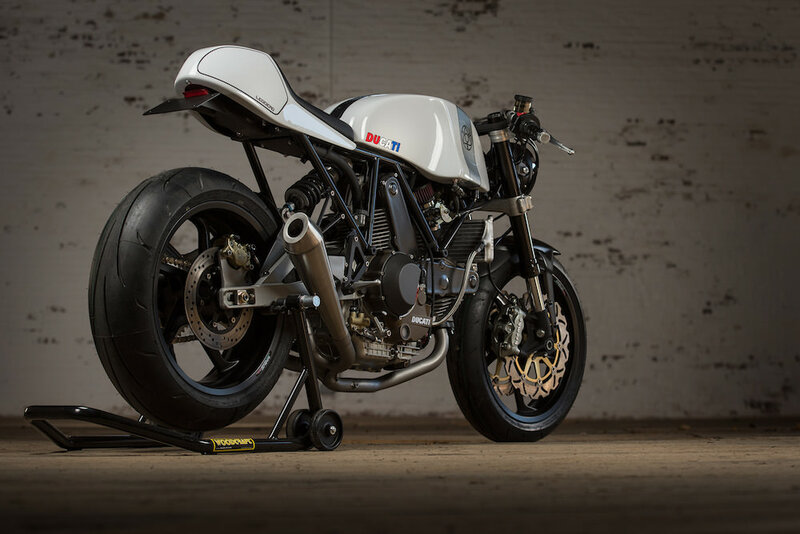 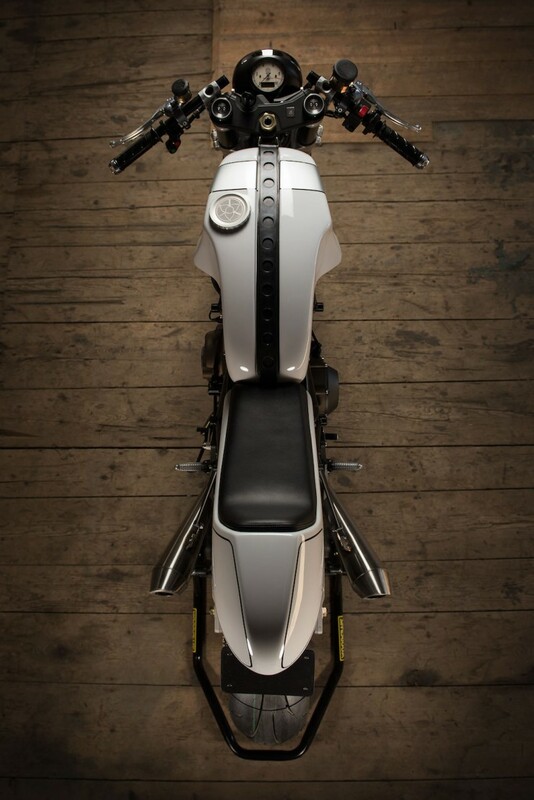 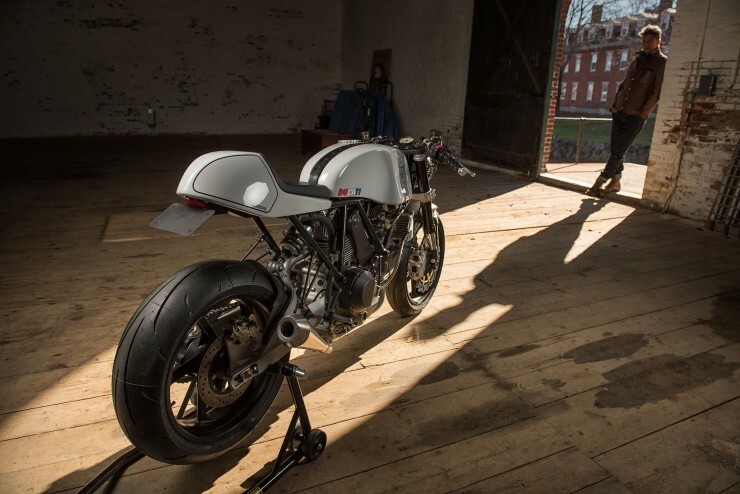 The Leggero you see here is the most recent to be rolled out of Walt’s New Hampshire workshop, it started life as a Ducati 900SS but as with all of the Leggero bikes – there isn’t much of the original bike left unmodified (or unreplaced). The first order of business was a full teardown, the engine was then blueprinted and balanced, a 944 Big Bore Bruce Meyers Performance kit was added with ported and flowed heads and short sleeve lightweight pistons were installed. 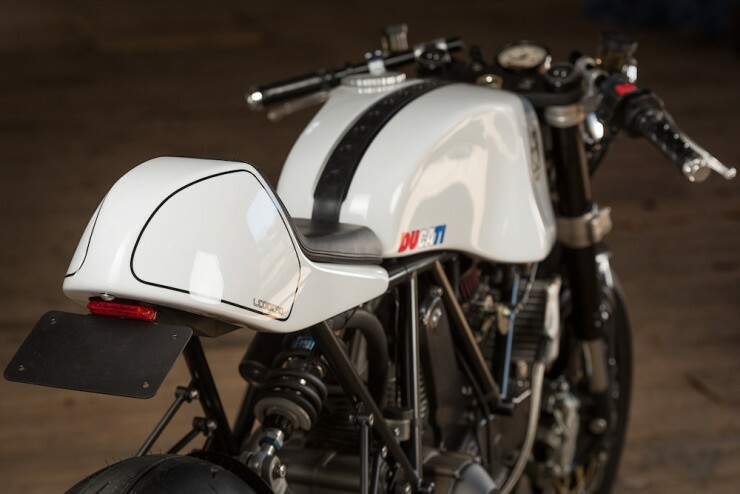 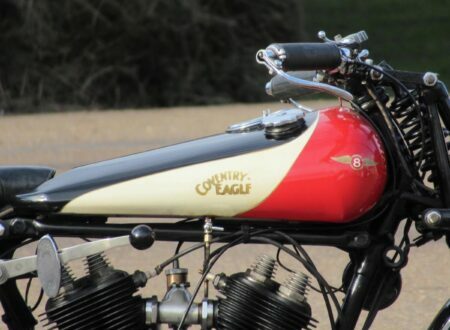 Walt then set about moulding a Kevlar fuel tank and tail section with a total weight of 4.5 lbs., a carbon fiber front fender, hugger, cam belt covers were fitted in keeping with the lightweight theme. 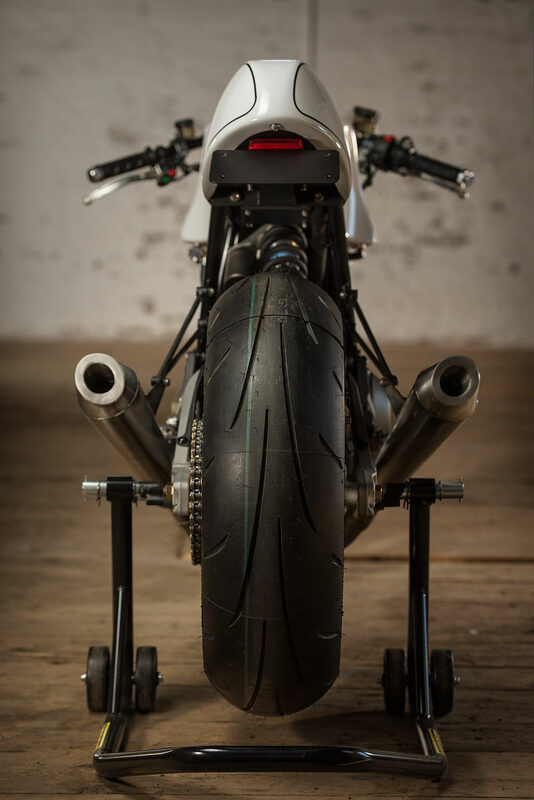 As the rebuild progressed an aluminium Ducati SP swing arm was fitted along with Marvic magnesium wheels shod with Dunlop Q3 tires front and back. 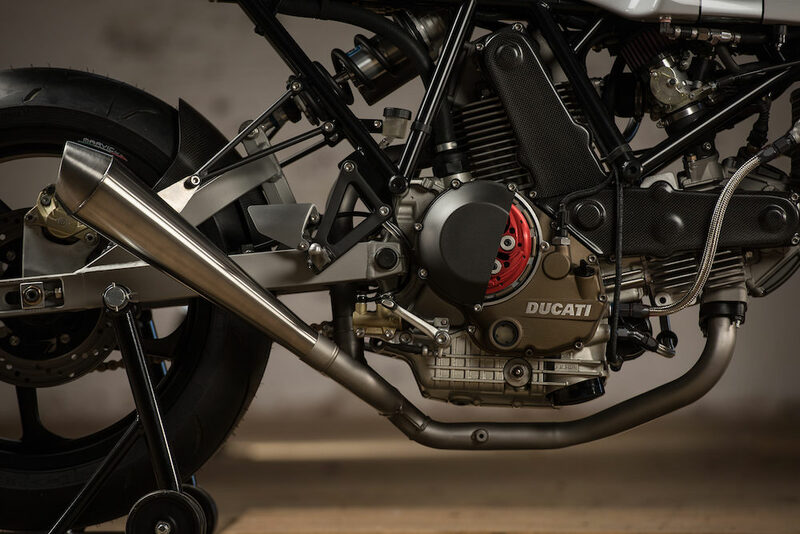 Suspension is fully adjustable Showa up front with gold valve cartridges tuned to owners weight and riding style, and in the rear an Öhlins monoshock with a custom spring rate is fitted. 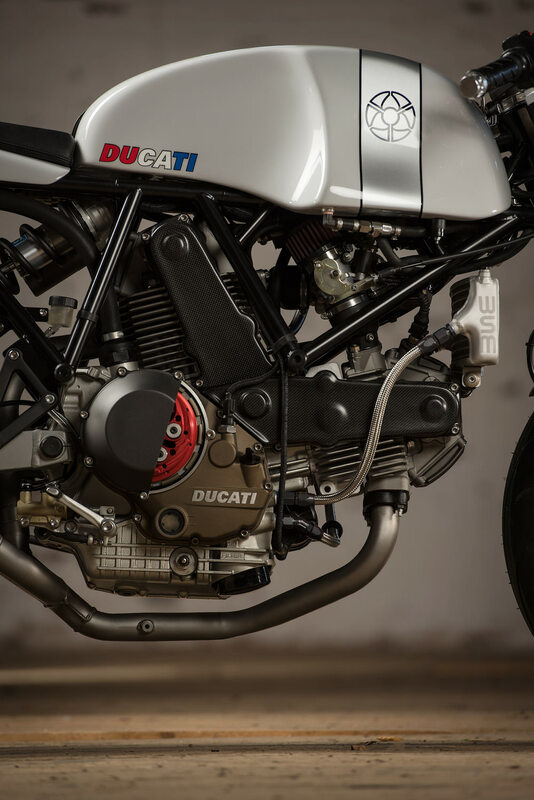 Braking is improved thanks to Brembo radial brake callipers front and back, with Spiegler Performance brake and clutch lines, and Magura brake and clutch master cylinders. 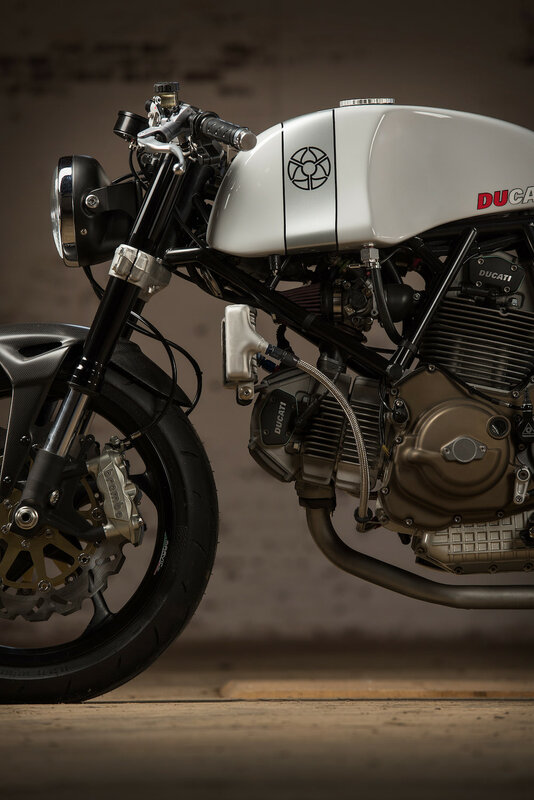 A YoYoDyne slipper clutch with lightweight plates was installed along with a fully tunable performance ECU, a custom wiring loom and a Motogadget analog tachometer with a custom face. 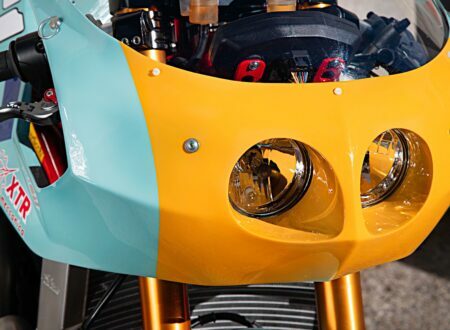 The exhaust is a custom WSM unit and that eye-catching paint is the work of Peach Pit Racing. 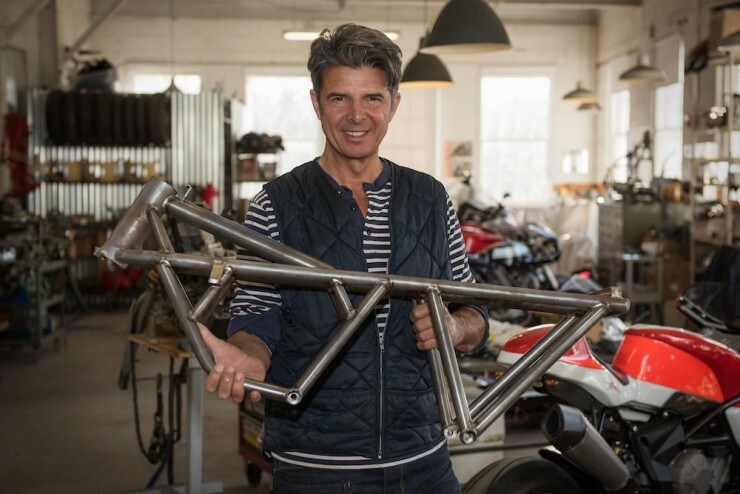 The bike is now at home with it is new owner, a motorcycle collector and racer called Fred – who Walt tells me is going to make very good use of his new Ducati and its astonishingly light 315 lb kerb weight. 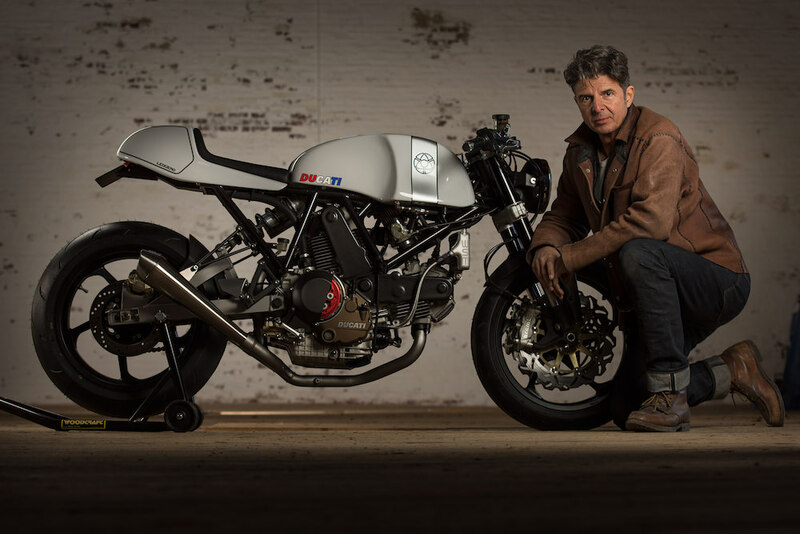 If you’d like to see more of Walt’s work or order your own Leggero you can click here to visit his website. 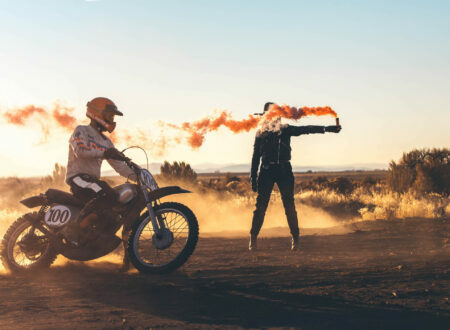 Photography by Douglas MacRae – Follow him on Instagram here.